Each year a new illustrated prayer guide booklet is published in a number of languages and locations around the world. The booklet contains daily readings that focus on various topics, people groups and geographical areas of the Islamic world; each day’s subject focus is followed by prayer points. It also features informative background articles and resources for involvement. 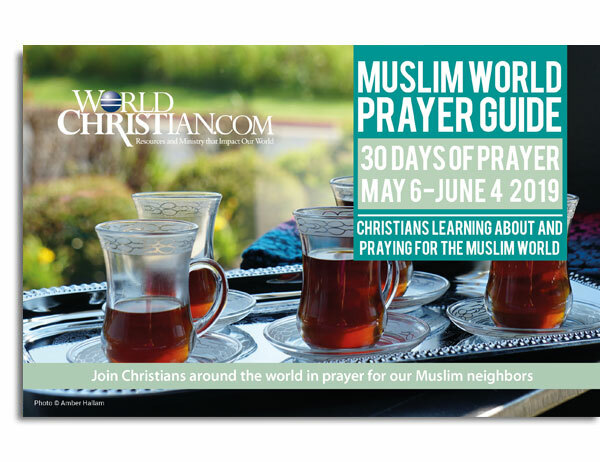 The 30 Days of Prayer for the Muslim World began in 1993 with a group of Christians who felt inspired to challenge the way they understood Muslim people. What if they saw Muslims in the same way God does? 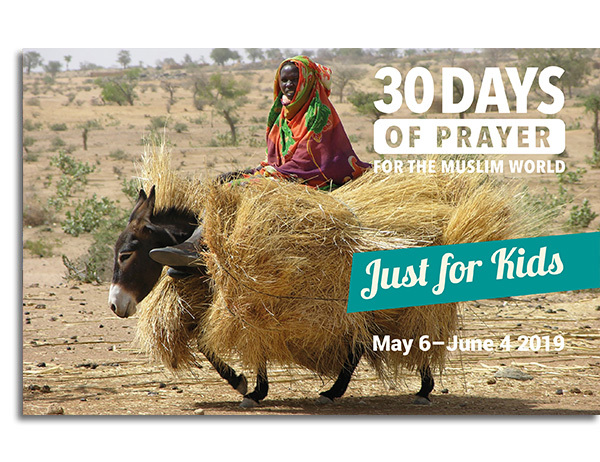 The 30 Days of Prayer for the Muslim World, is an international movement that began in 1993. It calls the church to make a deliberate but respectful effort to learn about, pray for and reach out to our world’s Muslim neighbors. It coincides annually with the important Islamic month of religious observation — Ramadan, a time of the year when Muslims are much more deeply aware of spiritual matters. While Media sound bites about Islamic extremism can too easily incite anger, fear and even hatred towards Muslims, we seek to resist this temptation to generalize, and instead, resolve to respond and pray with the mind and heart of Christ. Join the millions of Christians around the world, and churches and ministries from many denominations, who regularly participate in this largest ongoing prayer focus on the Muslim world. A new full-color prayer guide booklet — available each year in both adult and kids versions — is a proven tool to help Christians to understand and to persistently pray for Muslim neighbors and nations. "The Muslim world is a challenge to Christians--especially since 9/11. We will not impact Muslims through our theological arguments or political manipulation, but we will through prayer. The annual 30 Day prayer emphasis that coincides with the Muslim month of Ramadan has been a remarkable global effort to focus millions of Christians on prayer for the spiritual needs of Muslims. Is it surprising, then, that during the 15 years of the 30 Days Muslim Prayer Focus there has been a corresponding rise in the number of Muslims turning to Christ?" "We are in the midst of the greatest turning of Muslims to Christ in 14 centuries of Muslim-Christian interaction. More than 80% of all the Muslim movements to Christ in history have occurred in the past two to three decades, a time period that coincides with the modern prayer movement for Muslims. At the heart of this modern prayer movement is 30 Days of Prayer for the Muslim World." "Every Christian today should know about Islam. Every church should be wrestling with how God might have them reach out to and pray for Muslims around the world and in their communities. There is no better resource available to accomplish this calling of living in the modern world than the 30 Days of Prayer for the Muslim World. By joining this movement, you will be joining the Holy Spirit’s work in drawing Muslims to Christ." "We all recognize the need to pray. We've all been challenged to pray for the world. The hard thing is knowing how to do that well. The 30 Days Muslim Prayer Focus is the kind of tool that enables effective prayer. We at the U.S. Center for World Mission, Mission Frontiers magazine, and William Carey Library publisher encourage you to join in with the thousands — if not millions — who will be praying this year for the Muslim world."